Few places epitomise the exotic quite as much as the island of Zanzibar, located off the mainland of Tanzania – and Stone Town is its heart. In our guide to Stone Town, discover how this small city is a melting pot of African, Arab and Indian influences. Walking around this old trading town is like stepping back in time. It was the Arab traders who first arrived on the island in the 8th century in search of spices, slaves and ivory. Relatively small and easy to defend, Zanzibar was the ideal trading post. They ruled the seas for many centuries, explaining why – to this day – the island remains predominantly Islamic, with the first mosque being constructed in 1107. The Portuguese were the first European foreign power to gain control of the lucrative island, building the Portuguese fort which dominates the port. After ruling for 200 years the Sultanate of Oman took control in 1698, sacking Zanzibar in the process. By the mid 19th century, the island was the world’s biggest producer of cloves and the largest slave trading centre on the East African coast. In fact, the name Stone Town came from the tall, white buildings which were made out of coral stone during this boom period. Britain’s influence on the island began in 1896 when they defeated the Zanzibar Sultanate in the shortest war in history, which lasted a mere 38 minutes. 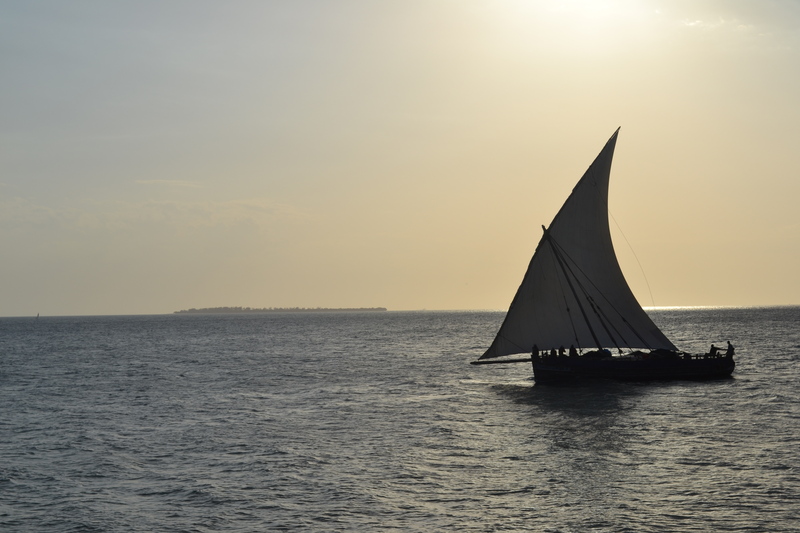 One year later the slave trade was abolished in Zanzibar, under the leadership of Hamoud bin Mohammed, ending a significant chapter in Zanzibar’s history. Finally, in 1963 Zanzibar became independent. The only way to explore is to while away the day meandering through colourful bazaars and serpentine streets, where you’ll spot the famed Zanzibar doors at every turn. 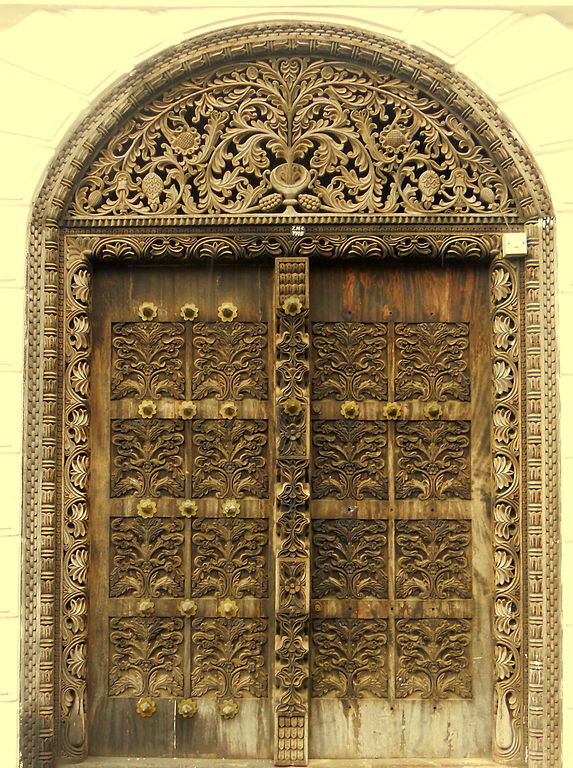 Incredibly intricate and embellished, the doors seem completely at odds with the muted architecture that surrounds them, but being a mark of the owner’s status, the doors are actually the most important feature of a house in Zanzibar. I spent many an hour wandering aimlessly through the narrow, maze-like streets (I soon realised maps were useless) stopping to peruse small artists’ shops when encouraged to enter by enthusiastic vendors with wide, toothy smiles. I even came across a traditional carpenter who showed me round his workshop, heaving with beautiful, handmade wooden frames and intricately carved chests of different sizes – a far cry from the mass-produced souvenirs that you find in the bigger souvenir shops across the island. The hub of Stone Town has to be its spice bazaar – a surviving link from its colonial past. Passing the port, where huge container ships provide a surreal backdrop to the small, wooden fishing boats that bobb up and down closer to shore, I followed two cheery fishermen with gleaming fish in each hand as they made their way to the market. Minutes later I could hear the activity and commotion of market-sellers advertising their wares; I knew I had arrived. Making my way to the colourful bazaar, nearly tripping over a sizeable swordfish in the process, I perused the stalls of pungent spices – the very ingredients that had put Zanzibar on the explorers’ and traders’ map. After a day’s exploration, I headed for a meal at The House of Spices restaurant, a charming rooftop restaurant hidden away down one of Stone Town’s many winding streets. Here, I dined on a juicy steak, fresh bread with cardamom butter and spiced potatoes and watched the sun descend of the tapestry of rooftops. 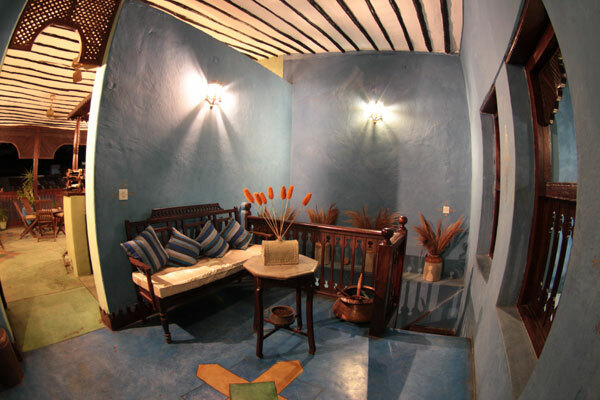 The perfect end to a stay in captivating Stone Town.